Gemstone singing bowl music to impart deep physical and energetic healing. Singing bowls have been used for centuries as a tool for shifting into meditative states and emotional quietude. 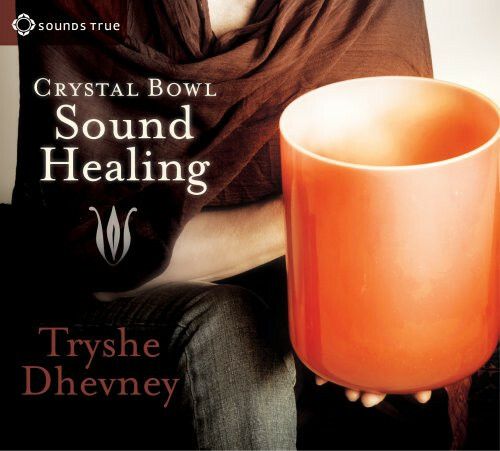 Researcher and music artist Tryshe Dhevney has found that specific gemstone-infused crystal bowls resonate with powerful healing properties. These five suites, recorded in Arizona’s reverberant Colossal Cave, were designed to amplify our natural bio-frequencies for healing and balancing at every level. Upon first listening to this extraordinary music, many report an immediate sense of soothing calm, relaxation, and centering. Ideal for use by body workers, energy healers, meditators, or anyone looking for a profoundly peaceful listening experience. I just love the spiritual sound of the crystal bowls.